Jack Savoretti – ‘Written In Scars’ Shoots To #3 In The Album Midweeks!! 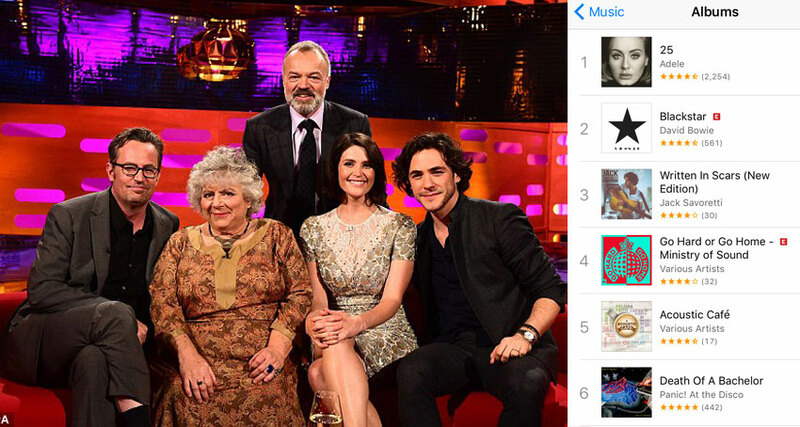 After Jack’s incredible performance on The Graham Norton Show last Friday his new single ‘Catapult’ has stayed the BBC Radio 2 playlist for a 4th week running and his latest album ‘Written In Scars’ has shot to #3 in the Midweek Album Charts, accompanied by Adele and David Bowie! !